The actual tendency is to produce stamped and bandless (without side band) soap bars, with attractive shapes and colours. In Turkey and other countries the last trend is the production of toilet soap bars with stripes of 2 colours (also called multi-colour or bi-colour soap), while the production of marbled or striated soap is decreasing in general. Toilet soap bars are usually wrapped and have a weight range of 60 - 150 grams. 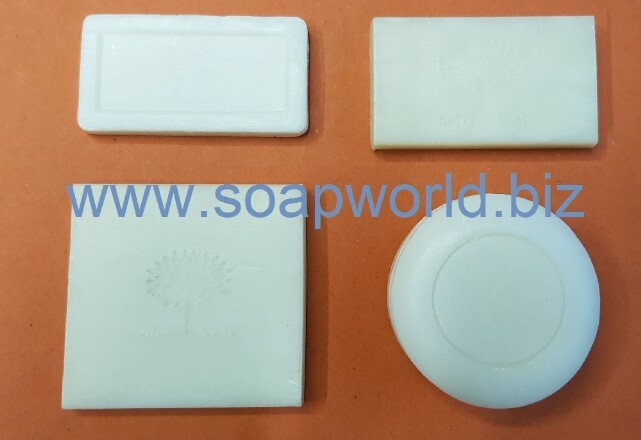 A small but attractive market niche is the production of big oval toilet soap with a weight of 250 - 350 grams; it is easy to find these soaps in USA and in some European countries. Laundry soap bars are produced in different ways and with an infinite variety of shapes. The oldest type of laundry soap bar has a cubic soap, stamped on 6 faces, with a weight of 400 grams or more. This type of laundry soap bar was produced in France and was called Marseille Soap. The production process of pure Marseille soap is the full boiled saponification plant and the raw materials used in the past was animal fats and oils. Today the cubic soap bars are still produced in France, but it is not a mass soap, but a niche where high quality and expensive raw materials are used, like olive oil and special perfumes. 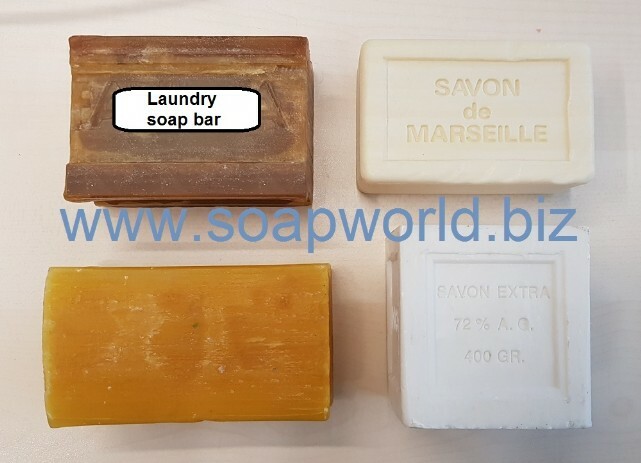 In French-speaking African countries, like Cameroun and Ivory Coast, big saponification plants are used to produce semi boiled laundry soap bars with a cubic shape and brown color due to the crude palm oil that is saponified without bleaching pre-treatment. Actually the more diffused laundry soap bars in developing countries, are semi boiled filled soap bars, where fillers are used to reduce the costs (oils saving). In some African countries is possible to find long filled soap bars with a weight of 1 Kg and a length of 30 cm. In some countries of central and south America, the laundry soap bars are produced using detergent powders, so they are not natural but synthetic soap bars. In developed countries the laundry soap bars manufacturing is decreasing, due to the liquid and powders synthetic soap used in the washing machines. Laundry soap bars can be stamped by means a soap stamping machine; usually the cheaper laundry soap bars are just cut and printed by means a soap cutter with two engraving rolls. There are a lot of small soap bars on the market, with a weight range of 10 - 50 grams. These soap bars are called Hotel soaps or Guest soaps. They have two mainly shapes: rectangular or round. The hotel soap bars are always packed; soap wrapper and soap flow pack are used for rectangular hotel soap bars, while pleat wrappers, stretch wrappers and also flow pack are used for round hotel soap bars. 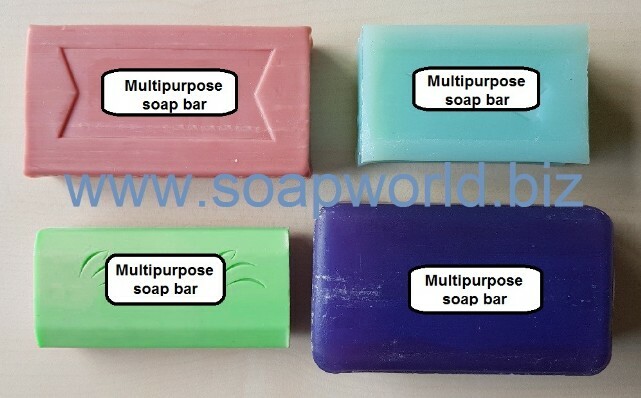 During the last years in developing countries it is easy to find soap bars called multipurpose soaps. 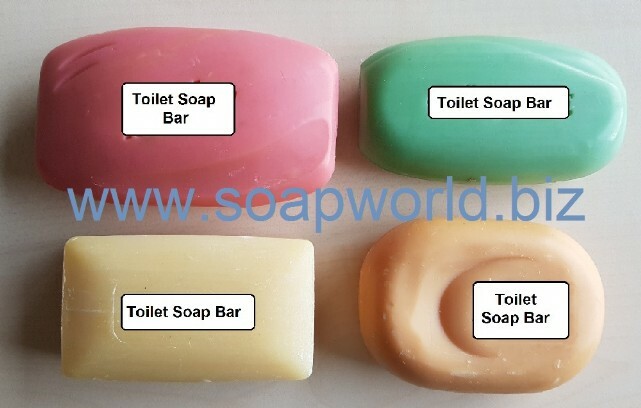 They are low quality soap bars that are used for all purpose: toilet and laundry soap bars. Usually these soap bars are not stamped, bust just cut and printed, to save cost in manufacturing process.